PRINCE2 2017 is based on a customer/supplier environment, and the organization Theme defines and establishes the project’s structure of roles and responsibilities. PRINCE2 2017 does not define jobs allocated to people, but rather, it defines roles each with a set of responsibilities. Each role may have one person or several people filling it, an individual may fulfill more than one role. What is important is that the right people are chosen for each roles and responsibilities, and this would include the individual’s knowledge, skills, experience, authority, credibility, commitment and availability. PRINCE2 2017 has a reserved term for the project board, project manager, and some optional roles and responsibilities, and this term is called the Project Management Team. A PRINCE2 2017 project always have three primary categories of stakeholder, and these roles and responsibilities must always be included if the project is to be successful. The three primary interests that make up the project board roles and responsibilities are the Business interest – the Business Case should provide value for money, the User interest – these will use the project’s outputs either to realise the benefits, they may operate, maintain or support the project outputs, and these outputs will impact them, and the Supplier interest – these supply the resources and skills to produce a project’s products. 1. Corporate or programme management, these are outside of the project management team, and are responsible for the Project Mandate, naming the Executive, and defining the project-level tolerances. 3. The Project Manager is responsible for the day-to-day management of the project within the constraints laid down by the Project Board. Among the Project Board roles and responsibilities include being accountable for the success or failure of the project, providing unified direction, providing the resources and authorising the project funding, and ensuring effective decision-making. The Project Board should have the right level of authority, be credible, have the ability to delegate, and be available for whenever that decisions and directions are needed. The Project Board Executive roles and responsibilities is ultimately accountable for the project success and has the veto on any decision making. The executive is responsible for the Business Case. The Senior User roles and responsibilities represents those who will use the project’s products and also those who will use the products to achieve an objective or deliver benefits. The Senior User specifies the benefits and is held to account by corporate or programme management. The Senior Supplier role represents those who will design, develop, facilitate, procure, and implement the project’s products. This role is responsible for the technical integrity of the project. Each Project Board member is responsible for their own assurance, business, user and supplier. Collectively, this role is called Project Assurance. Each project board member can perform their own project assurance, or they may choose to delegate it. Project assurance roles and responsibilities must be independent of the Project Manager and the team and are also responsible for supporting the project manager by giving advice and guidance. If the project is likely to have many change requests, then the project board during the initiation stage, need to decide whether they have the time to make decisions on these changes, or whether they wish to set up a Change Authority who will act upon their behalf. They would need to agree to ‘rules of engagement’. For example, the project board may only deal with changes above a certain monetary value. The Project Board may also wish to consider allocating a separate change budget to pay for such changes. The Project Board should not exceed six to eight people otherwise decision-making can be slowed, it is a good idea to consider having off-line supplier and user meetings, and bring a representative back to the project board to act on their behalf.. The project manager roles and responsibilities is responsible for day-to-day management of the project and will delegate responsibility for the creation of products to the team manager or specialist team members themselves. The team manager roles and responsibilities if they are appointed, then the project manager gives the Work Packages to the team manager, and the team manager will give the project manager regular Checkpoint Reports. 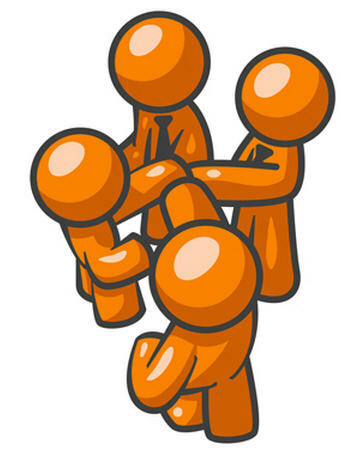 The Team Manager will therefore perform the daily management of the team members. Another optional role is the use of Project Support. This group’s roles and responsibilities will provide administrative services to the project, give advice and guidance on the use of project management tools, and will normally provide configuration management. It project support is not available, then the project manager will have to do it themselves. I Guarantee You will pass your PRINCE2 Foundation and Practitioner exams first time – I will coach you personally HERE! David spent 25 years as a senior project manager for USA multinationals, and has deep experience in project management. He now develops a wide range of project-related downloadable video training products under the Primer and Projex Academy brand names. In addition, David runs project management training seminars across the world, and is a prolific writer on the many topics of project management. 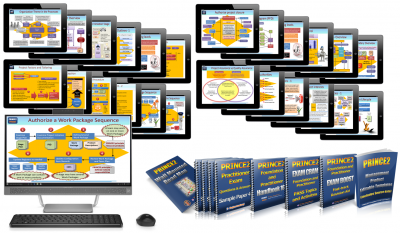 Do you want to be a PRINCE2 Practitioner? I passed my PRINCE 2 PRACTITIONER yesterday and have cleared the exam, all thanks to your PRINCE2 Primer with its extensive videos and learning sessions which has helped me to pass the exam with great ease. I could easily access the videos on my cell phone and this helped me to study when travelling. Your sample foundation exams were a quick win in scoring and accessing key points to related focus areas. I am proud to say that I am a registered PRINCE 2 Practitioner and all thanks to Dave's PRINCE2 Primer, the extensive videos and learning sessions which has helped me to pass the exam with great ease. It was definitely an excellent investment for me. I just wanted to let you know that I succeeded in PASSING my PMP exam this morning! Really want to thank you for your fabulous PMP Primer video preparation material. I have been trying to prep for this test for about a year now (actually took a self-led online course) and your material was by far the key to my success. I will be sure to recommend you to my colleagues in the future. I truly appreciate your study materials for the exam and it helped me to gain my Practitioner status now. I just followed your Primer and then sat the exams, and I passed at my first attempt! Your Video training modules and the explanations given in the videos are done to extremely high standards and I am not sure anyone else can present this information as detailed and as easy to follow as your Primer. Thank you for your help and I request you to continue this service. In December 2013 I passed my PRINCE2 Practitioner using JUST the Official Manual and your PRINCE2 Primer course. No week long course, no classrooms, just me, in the house, with the manual and your course. It was fantastic and I had everything I needed to pass the PRINCE2 Practitioner exam First Time! I just wanted to drop you a line to say I passed my PRINCE2 Practitioner - Thank You! A huge part of this success was down to the excellent suite of PRINCE2 Primer materials I purchased from you. Not only did it help me pass my Foundation and Practitioner exams, but I'll always have them to refer to if I need to brush up on any areas. I just wanted to let you know that I received my Practitioner results today and I can confirm that I have passed!!! Thank you so very much for your help and assistance in getting me to where I am now! Thank you once again, you have really inspired me and restored my faith in human kind by your act of kindness and support. Well Done Angela!Angela Hart PRINCE2 Practitioner pleased to say that I have passed! I hope to find you well? I received my Practitioner results today & pleased to say that I have passed! I wanted to thank you as I found your training material extremely useful & covered processes in so much more detail than during the actual course. I just wanted to send you an email stating how much I appreciate your PRINCE2 Primer course. I found the content extremely well laid out and your video module pages (screens) are of excellent value. I also find your voice very comfortable to listen to... all in all an excellent course. I have also done the course by SPOCE but yours tops it by far.... very far. Just wanted to let you know before the ink dries on my certificate, that I've just passed my PRINCE2 Practitioner exam! Although I only purchased your PRINCE2 Primer two weeks ago, the 25 video modules and Body Prime Plc mock exam scenario have really helped me. The online e-learning from another training provider simply wasn't going to cut it beyond Foundation level. Your content has not only given me more knowledge, but has helped give me the confidence that I can apply the PRINCE2 method as it's intended - in an exam scenario and hopefully in the real world. I wanted to get my PRINCE2 Foundation and Practitioner certification and had enrolled on a week long classroom course I found online, I read up and studied as much as I could, but there was far too much crammed in and reading a dull book that has no context and made no sense to me -- it was just not sinking in. I was frantically searching online for help when I came across one of your videos on YouTube, and it all started to fall into place, something clicked and I was starting to really grasp it. Your PRINCE2 PREMIUM Video Academy Training System - the best money I've spent, really really helpful and most importantly, this gave me the confidence and I passed and am now officially a PRINCE2 Practitioner! I am very grateful to you Dave and for helping me via emails personally - you seem to be a very kind and genuine chap! Thanks so much Dave - highly recommended! Many thanks. I have downloaded your Primer zip files. Had a quick look at the pdfs and started the first video. Wow, … it is so nicely done. I’ll be recommending them to anyone I know who might need it. I just thought I would email to show my appreciation for your PRINCE2 Primer! ! bought it just a few weeks ago. I passed my Practitioner Exam will flying colours, I am so happy. I will definitely be getting my next Primers from your website soon! Thank you for making it so easy to understand what the examiner wants from us! I have passed my Practitioner Exam! Thank goodness your downloadable Primer videos covered the entire syllabus, as the benefit that they gave me was that I was able learn the Method in my own time, rather than just having to learn it at my aggressively-paced classroom course. Before attending the classroom course I went on, I worked through your Primer videos giving me ALL the knowledge and information that I needed. Because of this, I had a massive advantage over others on the course as I could listen to the tutor rather than trying to listen and also notes take at the same time. For anyone wanting to attend the Foundation and Practitioner training course, these videos are a must! Don't get caught short thinking that you will learn the Method in a one-week classroom course; you will struggle, as the content is extensive and complex to learn without prior knowledge! I passed PRINCE2 practitioner yesterday, 70 %.!!!!! All your PRINCE2 Primer material was of great value for me!! Your material and videos were very specific and clear in detail, sample exams also was the perfect complement to the official manual and the official respective course. I do not want to forget that when I contacted you with inquiries of the material I had immediate response. Thank you - your videos are great!!! Just a quick note to say that your PRINCE2 Video Primer was excellent and covered all the key PRINCE2 syllabus elements in detail and was very easy to follow. I took my PRINCE2 Practitioner Exam yesterday and passed scoring 79%. Thanks again and I will be recommending your course to others. Just had to write to you and say THANK YOU, I used your PRINCE2 Primer and I passed my PRINCE2 Practitioner exams, finally! . . Exams and I don't get on but with your Primer, I felt so much better prepared. The Primer was excellent, loved the audio files as it allowed me to take you out and about (mostly to the Gym) to continue my learning. Hope you had a great Easter vacation. I would like to extend my heartfelt thanks to you for your PRINCE2 Primer playing an important part in my preparation and subsequent passing of both the PRINCE2 Foundation and Practitioner exams. I was immediately confident about the entire syllabus and all the conceptsand just needed to appear for the mock Foundation and Practitioner tests (included in the primer). I did not need even need to revise the video material a second time! I did attend a 5 day training course and comfortably passed both the exams in my first try! I am so impressed by your excellent and effective teaching style that I have downloaded your project management primer and will download the Agile and PMP material when I decide to study for them. Many thanks again for your expert guidance. Just thought I should pass on some good news to you! I've just received the exam results for my Practitioner and I passed with 60%! I used your Primer videos three times and dipped into the official manual once afterwards. The exam was pretty tough and I don't think I would have passed if it had not been for your training skills and materials. Many thanks for your help. I must confess I actually enjoyed studying your Primer as it enlightened my understanding of the Method! I found I only had to watch your video modules once as there was continual useful cross reference and revision on previous lessons during the whole learning phase. Having your complete Primer package enabled me to pass the course with confidence. Additionally I feel that I have finally formalized what I have been doing for years. This was not just about passing the course for me I feel confident in putting the Methodology into practice. A truly great package explained brilliantly and thoroughly. Thank you very much Dave, I'm interested in your other courses using this method and will sign up in a second! It was like a good book i could not put down, very addictive.